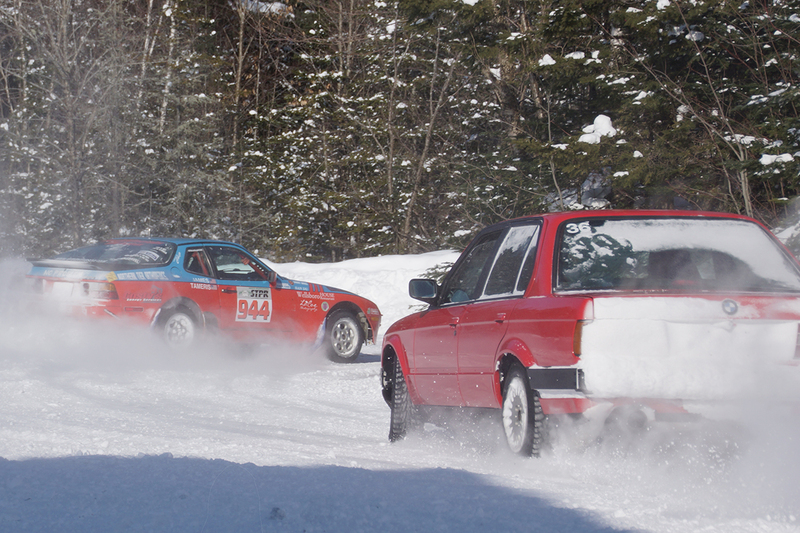 It’s not often that I learn something totally new about driving, but that’s just what happened at Team O’Neil Rally School in New Hampshire, starting with the first class of a four-day program (which was compressed into three days). The lesson covered left-foot braking in a front-wheel-drive car, the first of many skills that provided me a deeper understanding of how grip, traction, and weight transfer can be exploited by driver input to maintain control. Instruction at Team O’Neil takes place entirely off road — snow or gravel depending on the time of year — allowing students to exceed vehicle limits at relatively low speeds. That means lots of drifting and power-sliding fun, and it’s the perfect environment to learn car control and vehicle dynamics. Just as important as the locale is the training program, which starts students out in front-wheel-drive cars and graduates them to all-wheel drive and rear-wheel drive cars as they learn new skills and familiarize themselves with driving on loose terrain. Clockwise from top left: Team O'Neil starts students in front-wheel-drive Ford Fiestas. After learning on Fiestas, students graduate to all-wheel-drive Audi 4000 Quattros sedans. Instructors give short lectures on car control before each lesson behind the wheel. After the Audi, students move on to rear-wheel-drive BMW 325i's. Why start in front-wheel drive? As somebody who loves rear-drive cars above all else, that was my first question. Our instructors’ answer was that it takes away the ability to throttle steer, forcing students such as myself to learn how to transfer weight and turn a car using the brakes alone — a technique most useful in front-wheel-drive vehicles but also applicable in all-wheel and rear-wheel-drive cars. Once our group could left-foot brake consistently, we moved on from learning the fundamentals on a skid pad and applied them to more technical pylon-lined courses that included slaloms, sweepers, and 90-degree turns. We learned more advanced techniques on these courses, such as linking turns (harder than it looks when you’re drifting on snow), trail braking, the all-wheel-drive pendulum turn, and maintaining control on mixed snow-and-ice surfaces, with special attention paid to throttle modulation in rear-wheel-drive vehicles. Later, Team O’Neil set up a course circling the grounds to simulate driving on real roads. One thing is for certain, I was grateful to have built experience in the gradual fashion that the school provides, because maintaining control of a rear-drive car proved tougher than I expected — lots of counter steer with quick hands and smooth pedal inputs were required just to drive straight in the icy conditions. Perhaps the most important lesson I took away from the school: Keep your eyes pointed in the direction you want to go, even if that means looking out the side window. Though Team O'Neil teaches rally techniques, many of them can easily be applied to road driving. I also think there's no substitute for feeling how a vehicle reacts to inputs on a loose surface because reactions happen more slowly on snow or gravel than on pavement, giving you time to process the situation. That’s what I took away from school, starting with that first lesson on left-foot braking. After my time there, whether I choose to rally in the future or not, I do consider myself a safer, better, more confident road driver with a larger skillset of driving techniques. If you’re itching to experience something different from autocross, Drivers Education, and track events, consider a trip to a rally school such as Team O’Neil. It’ll be well worth your time and money — and a lot of fun. Training programs start at $1,300 per person and go up to $5,990 for the five-day course. To ensure you get instruction in a rear-wheel-drive car, you’ll need to opt for the four-day program, priced at $4,910. To give you a taste of Team O’Neil, head below to watch videos highlighting helpful driving tips courtesy of Training Director Travis Hanson. Read: "The road less traveled: One member's rally-spec 944"
Watch: "Rally Ready at Team O'Neil"